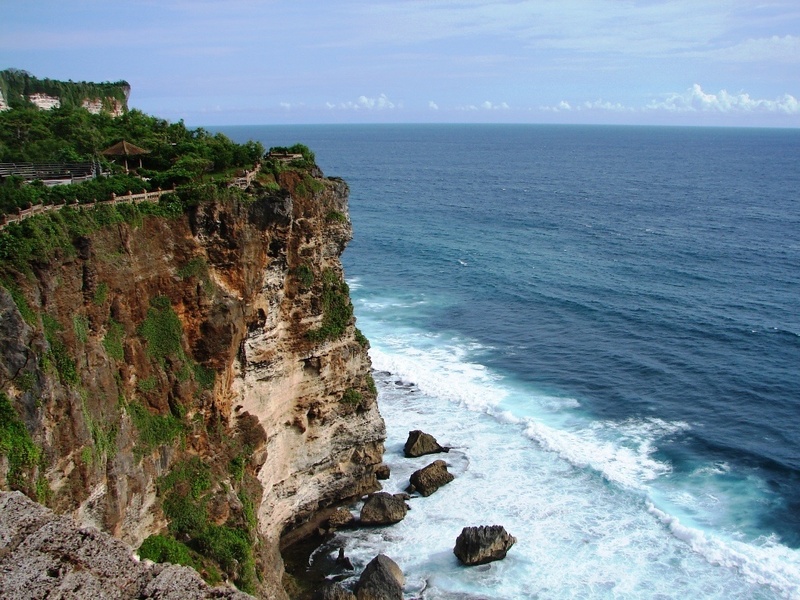 Pura Luhur Uluwatu temple in Badung sits precariously at the edge of a sheer 250 feet cliff on the island's southern peninsula, overlooking the Indian Ocean. 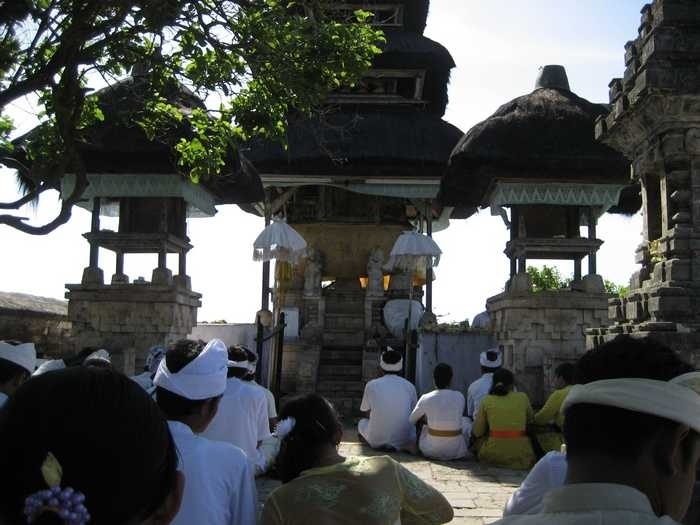 It is one of the oldest and most important kayangan jagat (directional temples) in Bali that guard the island from evil spirits. 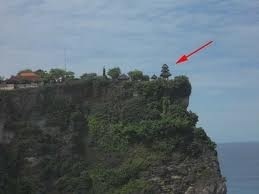 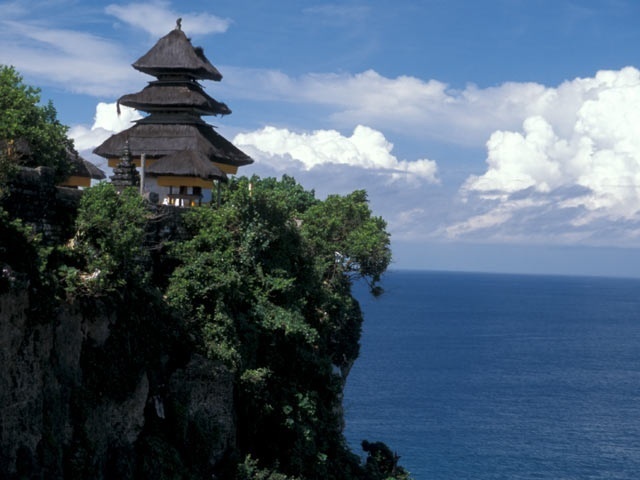 Pura Luhur Uluwatu is an architectural wonder in black coral rock with beautifully designed motifs. 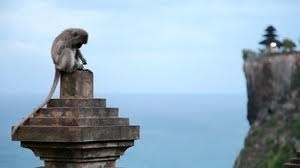 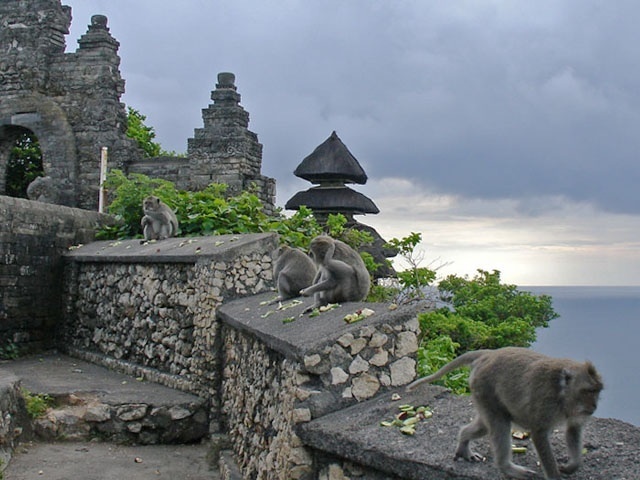 Like many Bali sanctuaries, it is also home to a large monkey population .